The scriptures make frequent reference to being born of God, being born of the Spirit, even being baptized with fire and with the Holy Ghost. Just what is that rebirth, and how is it brought about? In the Book of Mormon King Benjamin taught that the nature of mortal man was alien to God’s nature. He also defined, in the same verse, the desired status of a saint: “submissive, meek, humble, patient, full of love, willing to submit to all things which the Lord seeth fit to inflict upon him.” (Mosiah 3:19.) A true saint is willing to be completely submissive to God. Let us here observe, that a religion that does not re­ quire the sacrifice of all things never has power sufficient to produce the faith necessary unto life and salvation; for, from the first existence of man, the faith necessary unto the enjoyment of life and salvation never could be obtained without the sacrifice of all earthly things…. 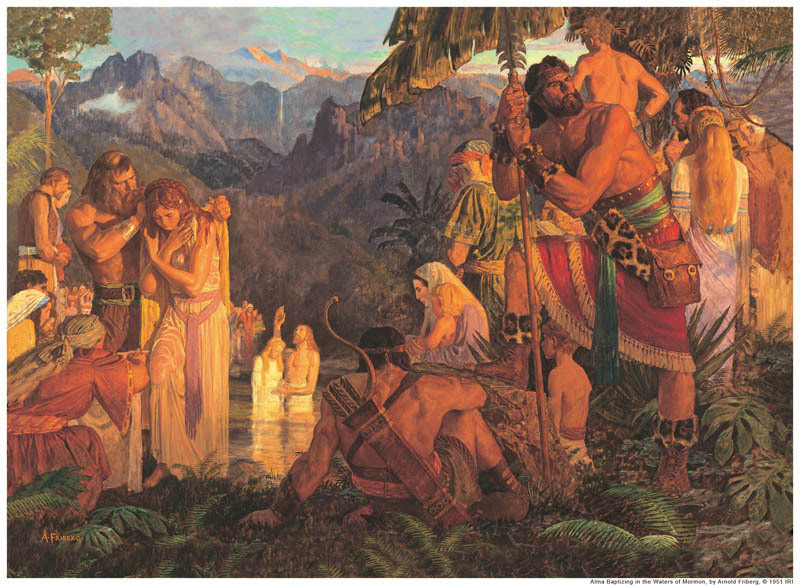 Note that Latter-day Saints, under Prophet Joseph Smith, or under any ensuing prophet, have never been required to sacrifice all things (except for those who were martyred in the early days of the Church). However, many of the faithful were willing, and could see how temporary and unworthy worldly things were when compared to the value of the gospel and salvation. Thus the requirements were outlined for entrance into God’s kingdom. “Born of water” is certainly water baptism. Have we fulfilled this ordinance? For those of us in the Church of Jesus Christ, the answer is yes. But have we been “born of the Spirit”? That is not quite so easy to answer. We have received the ordinance of laying on of hands called confirmation [for the receiving of the companionship of the Holy Ghost], but is that all there is to it? Does everything happen automatically after hands are laid upon our heads by those who have the Melchizedek Priesthood? Have we been born of the Spirit? Have we been baptized with fire and with the Holy Ghost? Of course, there is no simple answer to the question, “Have you been spiritually reborn?” But there is an answer. To understand it, we must first understand the two separate and distinct blessings that can result from the ordinance of confirmation — first, the right of enjoy­ment of certain gifts of the Spirit; and second, that marvelous change that comes from the baptism of fire and the Holy Ghost. – have interpretation of tongues. By the grace of God-following devotion, faith, and obedience on man’s part-certain special spiritual bless­ings called gifts of the Spirit are bestowed upon man…. Their purpose is to enlighten, encourage, and edify the faithful so that they will inherit peace in this life and be guided toward eternal life in the world to come…. To gain salvation every accountable person must receive two baptisms. They are baptism of water and of the Spirit. … The baptism of the Spirit is called the baptism of fire and of the Holy Ghost. … By the power of the Holy Ghost- who is the sanctifier (3 Nephi 27:19-21) -dross,iniquity,carnality,sensu­ality, and every evil thing is burned out of the human soul as if by fire; the cleansed person becomes literally a new creature of the Holy Ghost. (Mosiah 27:24-26.) He is born again. From Elder McConkie’s discussion, describing the gifts of the Spirit and birth of the Spirit, it is easy to discern the differences. First, the birth of the Spirit is essential to salvation, while the gifts of the Spirit are available as a great blessing to assist and give comfort to the Saints as they pursue the course of their lives. Second, the birth of the Spirit purges and sanctifies an individual so that as a “new creature of the Holy Ghost” he is capable of a life that approaches the standard necessary for exaltation–he is willing to sacrifice all earthly things. Therefore they were called after this holy order, and were sanctified, and their garments were washed white through the blood of the lamb. 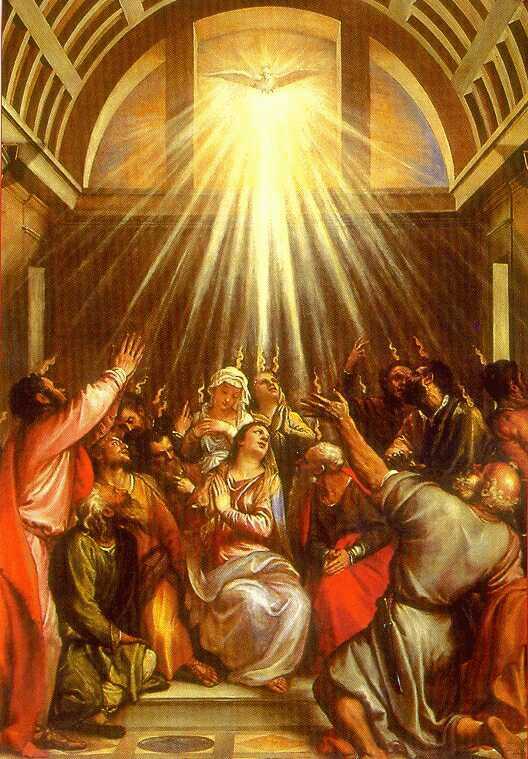 ” … when they were all baptized and had come up out of the water, the Holy Ghost did fall upon them, and they were filled with the Holy Ghost and with fire. The birth of the Spirit will not come automatically. A person must make a concentrated effort in seeking this great blessing. Sometimes months and years of preparation will be required. Will we know when we receive the birth of the Spirit? Does it come gradually so that we may have received it already and do not recognize it? There is no question that spiritual preparation to receive this “new birth” could be a long, gradual process. But the distinctive change spoken of by Alma leads me to believe that one cannot receive such an experience without a powerful awareness of it. Like the “wit­ness of the Spirit,” we will easily recognize this gift when it comes, and we will know the day and the hour we receive it. Another reason I believe we will know when the birth of the Spirit comes is that at that point our sins will be cleansed from us – an experience described by such words as “fire” and “burning.” Surely such an inward purging will be noticeable. Can we say that Peter had a testimony prior to the Savior’s death? Most certainly we can. At one point Jesus asked his disciples, “Whom say ye that I am?” And “Peter answered and said, Thou art the Christ, the Son of the living God. “And Jesus answered and said unto him, Blessed art thou, Simon Barjona: for flesh and blood hath not revealed it unto thee, but my Father which is in heaven.” (Matthew 16:15-17; italics added.) Here Jesus con­ firmed that Peter did indeed know, by revelation, of the divinity of Christ’s mission. It is interesting to see the remarkable change that took place in Peter when he did become converted. The power and strength of Peter in the book of Acts is beyond question. When did Peter receive this “mighty change” in his heart? Keep in mind that Peter’s preaching in Acts was directed to the very people who had killed Christ and could do the same to him. The “mighty change” that drove out the fear, intensified the commitment, and gave power to his testimony came forty-nine days after the res­ urrection of our Savior at Pentacost with the bestowal of the Holy Ghost upon the Church. With these examples fresh in your mind, can you visualize the spiritual impact of such an experience? Can you picture how those who have been reborn can more fully live the law of sacrifice after such a rebirth? Can you see how the ability to live much closer to the standard of a Christlike life would be increased? The desirability of the spiritual rebirth is beyond question. *Adapted from Born of the Spirit by E. Richard Packham, CFI Publishers, Springville, Utah, 2008.